If you have arthritis, you will likely have experienced a flare-up of symptoms at one time or another, often with no apparent cause. Depending on the type of arthritis you have, it may be related to a specific trigger or the ongoing progression of your disease. It is often hard to tell. An arthritis flare is defined as an episode of increased disease activity or worsening symptoms. 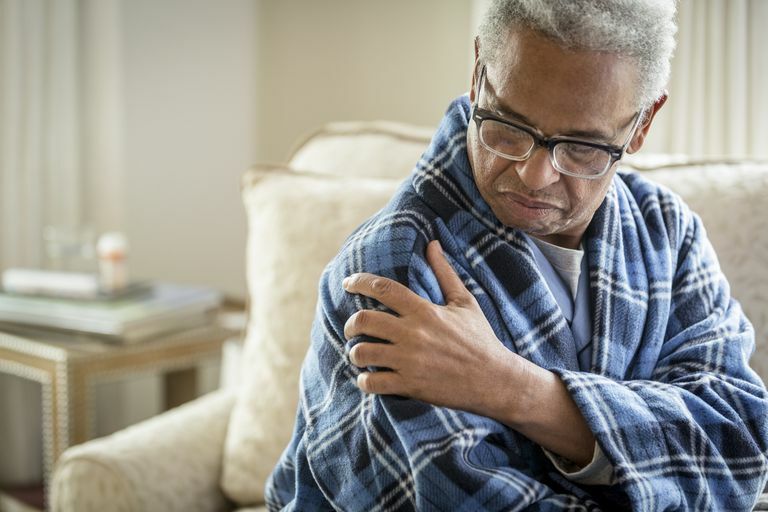 People with arthritis typically recognize a flare by the sudden intensity in joint pain accompanied by other characteristic symptoms such as fever, fatigue, malaise, stiffness, or joint swelling. During a flare, the fatigue can become so profound that, even after a good night's rest, the person will feel unrefreshed. A flare can involve a single joint or multiple joints. Typically speaking, a person with osteoarthritis will either have single joint involvement or recurrent flares with the same, multiple joints. By contrast, those with autoimmune arthritis, like rheumatoid arthritis or psoriatic arthritis, can often experience multiple joint flares concurrently. The cause of a flare can vary by the arthritis type. Broadly speaking, osteoarthritis flares are related to conditions or events that directly affect the joint, while autoimmune arthritis flares are largely related to conditions or events that affect the immune system and cause an inflammatory response. With osteoarthritis, overexertion and trauma are the most likely causes of a flare. Physical triggers such as repetitive motion or weight gain can increase the likelihood of a flare as can external triggers such as cold temperature or changes in barometric pressure. Stress and infection are also common causes. With rheumatoid arthritis, flares can be related to any condition that causes your immune system to respond to inflammation. It may be a physical stimulus such as overexertion or an emotional one such as stress. In the same way that certain foods can cause allergy, there are food allergens that can trigger arthritis. Moreover, the drugs used to treat rheumatoid arthritis (which work by dampening the immune response) can increase the risk of infection which, in turn, increases the risk of a flare. With psoriatic arthritis, the triggers for a flare are the more or less that same as those for psoriasis. They may include stress, injury to the skin, bacterial infection, certain medications, allergies, smoking, diet, weather changes, and excess alcohol intake. To differentiate a flare from worsening of the disease, your doctor may order a battery of blood tests including the erythrocyte sedimentation rate (ESR) and C-reactive protein(CRP) test to distinguish between chronic (persistent) inflammation and acute (current) inflammation. The treatment of a flare may require a short course of corticosteroids, such as prednisone or methylprednisone. If the flare persists, your doctor may adjust the dosages of your current medications or change your therapy altogether if it is deemed that your drugs are no longer working. Adjust your activity levels accordingly, balancing periods of activity with periods of rest. Schedule your daily obligations to ensure you provide yourself ample downtime. Use a hot or cold pack on the affected joint. Cold packs ease inflammation. Hot packs promote blood circulation to relax muscles. Lose weight to relieve some of the structural stress from your joints, particularly those of the lower body. Practice stress-relieving techniques, such as meditation or yoga breathing, to reduce muscle tensions that can exacerbate symptoms and to decrease your reaction to the arthritis pain. Dealing with chronic inflammation? An anti-inflammatory diet can help. Our free recipe guide shows you the best foods to fight inflammation. Get yours today! Cross, M.; Dubouis, L.; Mangin, M. et al. "Defining Flare in Osteoarthritis of the Hip and Knee: A Systematic Literature Review—OMERACT Virtual Special Interest Group." J Rheumatol. 2017; 44(12):1920-27. DOI: 10.3899/jrheum.161107. Rheumatoid Arthritis Prognosis: How Soon Will Symptoms Worsen?